A luminous flower for you in our Ottoline pendant as we celebrate the month of love! Given we’ve just commemorated Valentine’s Day and this is the month of love, we thought it would be an excellent time to celebrate relationships. We’ll steer clear of romance for now in order to extol our many collaborations that help us maintain a vibrant network in our industry and a strong sense of identity as a company. These connections are as life-sustaining for us as a manufacturer as our friendships and family are to each of us personally. 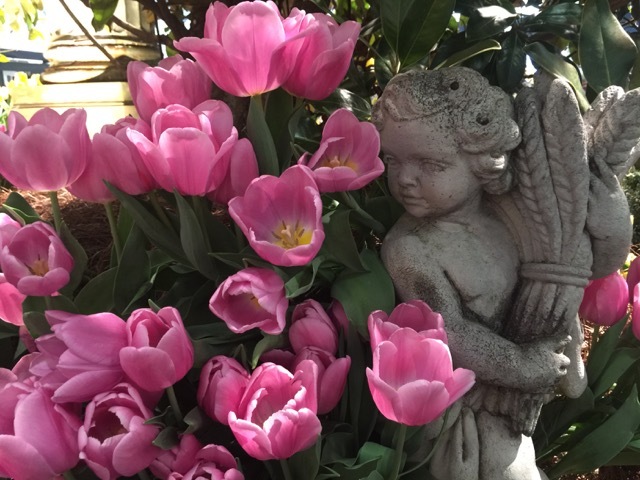 Lovely lush tulips at the Antiques & Garden show of Nashville. We began the month of February at the Antiques & Garden Show of Nashville during which we sponsored a private walkthrough of the show and caught up with so many of our friends in the design world at the wonderful events. We heard tastemakers in our industry speak on an array of subjects and enjoyed the remarkable antiques brought to the fair by both dealers and designers. As the image I’ve chosen illustrates, the garden aspect of the show made the experience a breath of fresh air as we soldier through this last full month of winter! Looking ahead, we’ll be in Los Angeles from March 4th through 6th as one of the sponsors of the Design Bloggers Conference, which is one of the year’s most networking-savvy events for those who operate as influencers in the design arena and those who hope to learn the secrets to their successes. Our Party sofa will, um, set the stage for the blast everyone always has at the Design Bloggers Conference! We’ll be dressing the stage for the conference—our green and teal theme a vibrant backdrop for the smart programming DBC’s organizers will be bringing to the Beverly Hilton. If you haven’t signed up, there is still time, as registration doesn’t close until March 1st. We look forward to hearing influencers like Adam Japko, the visionary behind the brand; Jamie Drake; Mayer Rus; Miles Redd; and Carolyne Roehm as they share insight into subjects that are near and dear to all of our hearts. Currey & Company’s Teal of the Century nail polish will be in gifts bags at DBC. The High Point Market Authority’s Ashley Grigg and Adam will announce the details of the Design Bloggers Tour for this coming April market on Monday, March 5, so if you can’t make it to the event, I’m sure there will be news soon after. 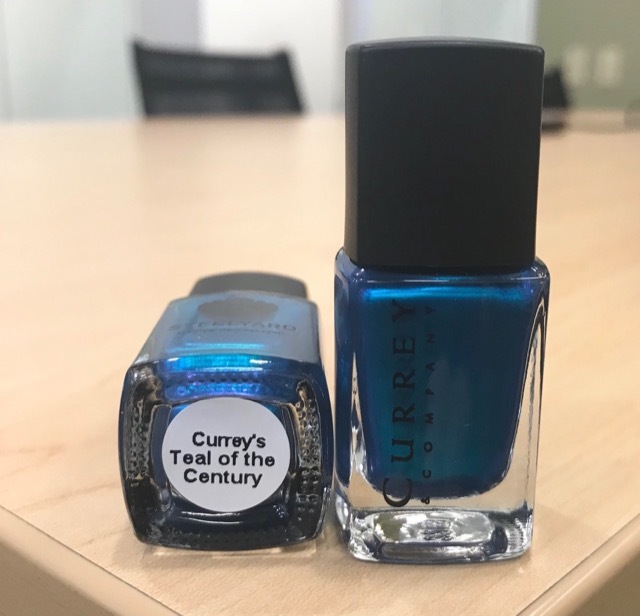 If you are attending, look for our “Currey’s Teal of the Century” nail polish in the gift bags, and Instagram, Facebook or tweet us a pic of your festive nails when you’ve had your next mani/pedi! Who knew a manufacturer of furniture and lighting could twinkle your fingers and toes? 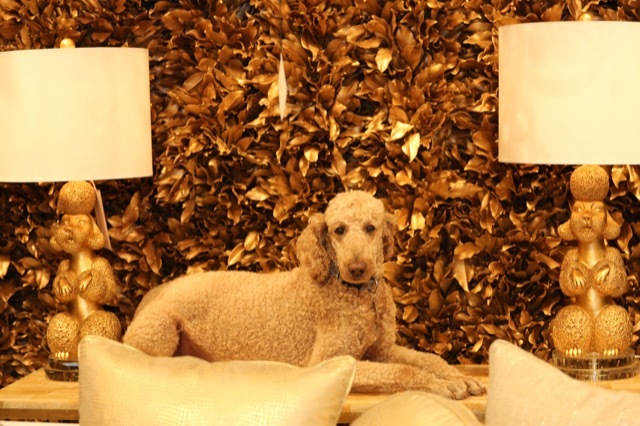 Rives with the Ms. Poodle, which debuted during High Point Market in the new Phyllis Morris Collection. We can hardly approach the subject of collaborations without paying homage to the legions of design talent resulting in some of our most popular products year-in and year-out. One of our newest collaborations is with Jamie Adler, the daughter of legendary L.A. designer Phyllis Morris. We’ll give her a nod early on here as we highlight the poodle lamp. Let’s just say it’s our product poster-child for 2018, as the Year of the Dog kicked off the Asian New Year last Friday. Please note, Ms. Poodle is not to be confused with our real-life canine poster child, Rives! The Agave Americana floor lamp new to the Currey & Company Marjorie Skouras Collection. We just announced that one of our newest collaborations with Dallas-based designer Denise McGaha will launch during the October High Point Market; but first, our April Market has so many stunners in store. Case in point is a floor-lamp version of Marjorie Skouras’ beautiful Agave Americana, which will be shown for the first time. It’s brand new to her collection so be sure to stop by and see how it gleams! We’ll also have new products debuting in our Aviva Stanoff Collection and our Phyllis Morris Collection. 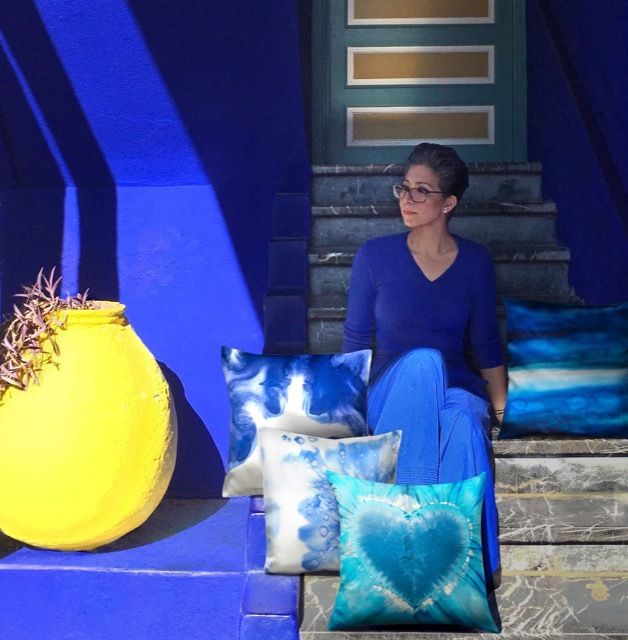 You’ll see new designs by Aviva Stanoff during the April High Point Market. Our in-house design team is a collaborative effort on its own, the group of gifted creatives a driving-force for us as a manufacturer when it comes to introducing designs that become popular elements in the well-appointed home, office, or retail or hospitality project. 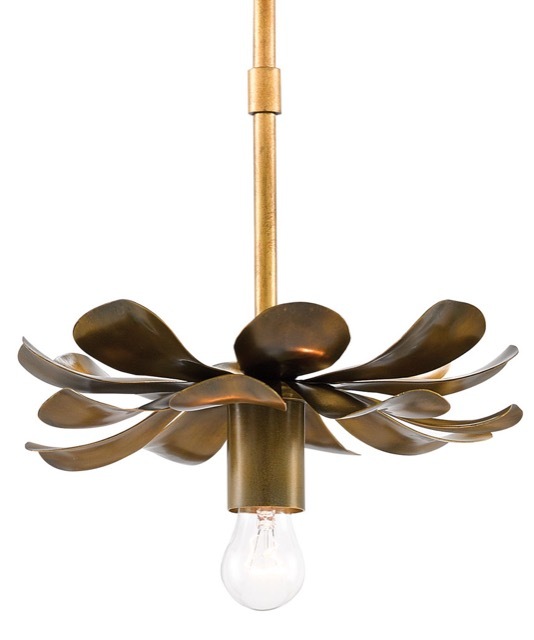 Our accomplished coterie of creatives includes our Vice President of Product Development Tom Caldwell, who designed the oh-so-chic Fontaine chandelier, shown below, which will debut during April Market. 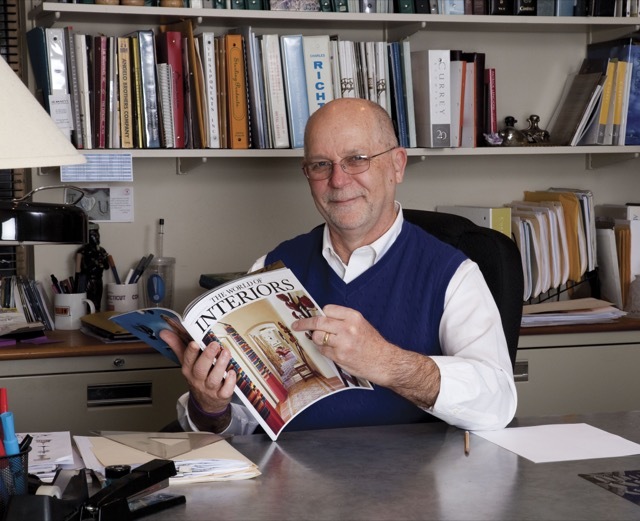 Tom Caldwell, our VP of product development, is among our tremendous design talent at Currey & Company. You can see all of our talented team and their new efforts in April, which will be here at the snap of a finger! We’ll get the party started on April 12th and be rocking the Main Street showroom until the 18th. We’ll share all of our programming news in our March blog post so check back in then. There will be events aplenty, of course, which have become very important to us as a manufacturer in the design industry! 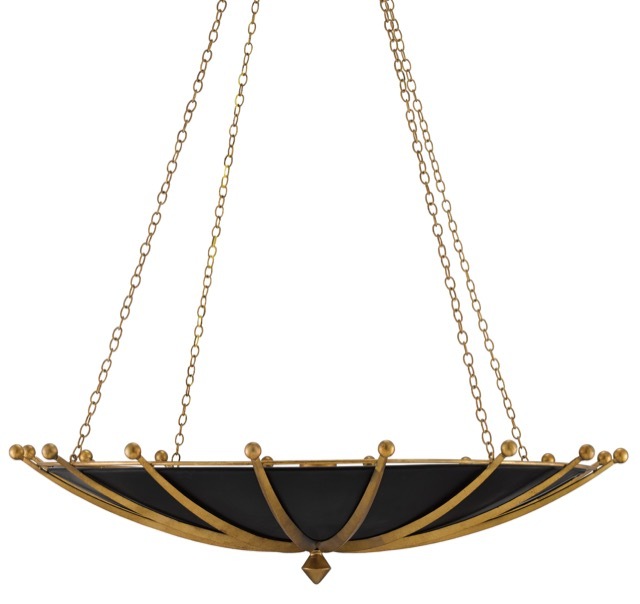 The Fontaine chandelier, designed by Tom Caldwell, will be one of our new products to debut during the next High Point Market. This post title is not only a reference to our appreciation for the relationships we have in our industry but is also a nod to Thomas Merton’s book No Man Is an Island. In the prologue, he writes, “Our life, as individual persons and as members of a perplexed and struggling race, provokes us with the evidence that it must have meaning.” We truly salute everyone in the industry driven to find meaning in life and determined to create meaningful designs. 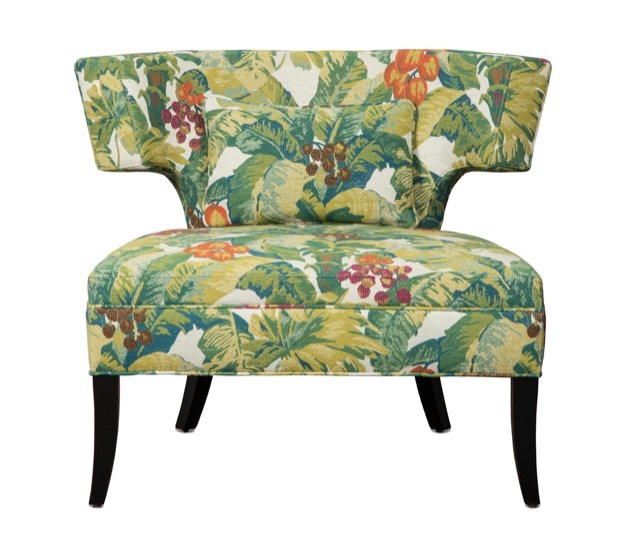 Our Ava chair packs a punch covered in this fabric with its lush vegetation. You’ll see it on the stage at the Design Bloggers Conference if you make it to L.A. I leave you today with Tenth Avenue North’s No Man Is an Island, a phrase that we believe should be the mantra of every manufacture. This entry was posted in Currey & Company, Products and tagged black, Chandeliers, design influencers, Events, floor lamps, Floral, Furniture, Garden, Gold, Lighting, organic shapes, seating, Table Lamp on February 21, 2018 by Saxon Henry.